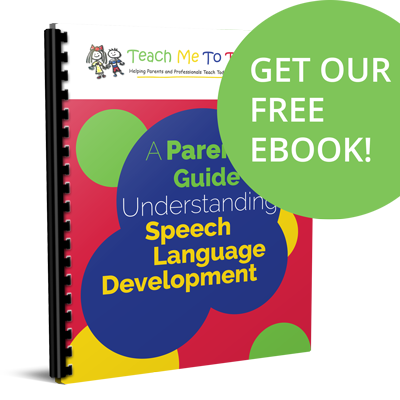 We can’t be overly “picky” when it comes to speech sound accuracy with toddlers, particularly for those who have struggled with language acquisition. Afterall, most brand new talkers are difficult to understand, whether you’re 12 months old and beginning to talk or 30 months old and saying your first words! 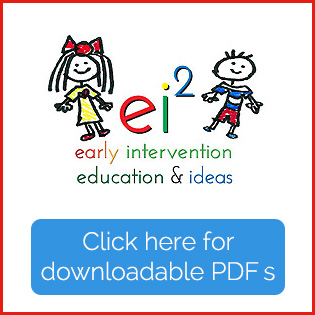 Check out this post for guidelines to let you know when you should be concerned about speech sound development in toddlers. I just started reading your articles and I’m enjoying them. One child I’m working with is 2.4 y/o, has nearly perfect receptive language and doesn’t say any words consistently except Ha (Hi). He’s had a couple of popout words but we never hear them again. He vocalizes more now, and with greater instensity, but it’s only vowels. He uses lots of nonverbal language, i.e. pointing, grimacing. For a while he used a prompt for “p” but he dropped it and he doesn’t say “p” anymore. Help! 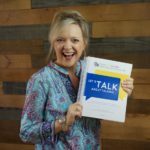 If you need more guidance, get my book Building Verbal Imitation Skills in Toddlers or better yet, for you since you’re a therapist, the CE Course Steps to Building Verbal Imitation Skills in Toddlers. You’ll SEE lots of examples of working with late talking toddlers just as you’re describing and get the “theory” of why this approach works for late talkers. Many therapists tell me how it’s totally changed their approach for therapy with little ones. Good luck to you!! I know these ideas are going to help! !